Feeling anxious? Can’t communicate with loved ones? Lonely? Join us for an enriching postpartum new mothers’ circle, where new mothers share hopes, concerns and challenges in a safe, non-judgmental supportive environment. You’ll find plenty of opportunities to form bonds and develop lifelong friendships. 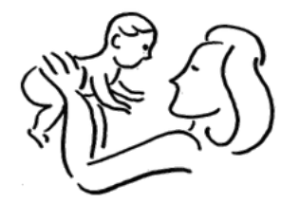 The group format will take an educational, hands-on approach with lots of activities, exercises and discussions for mothers and their babies of up to nine months, led by Orly Katz, an experienced certified professional counselor. Cost: Free. You are welcome to bring your baby with you. Up to 3 months postpartum.